100 ml milk, plus a splash for your mash! 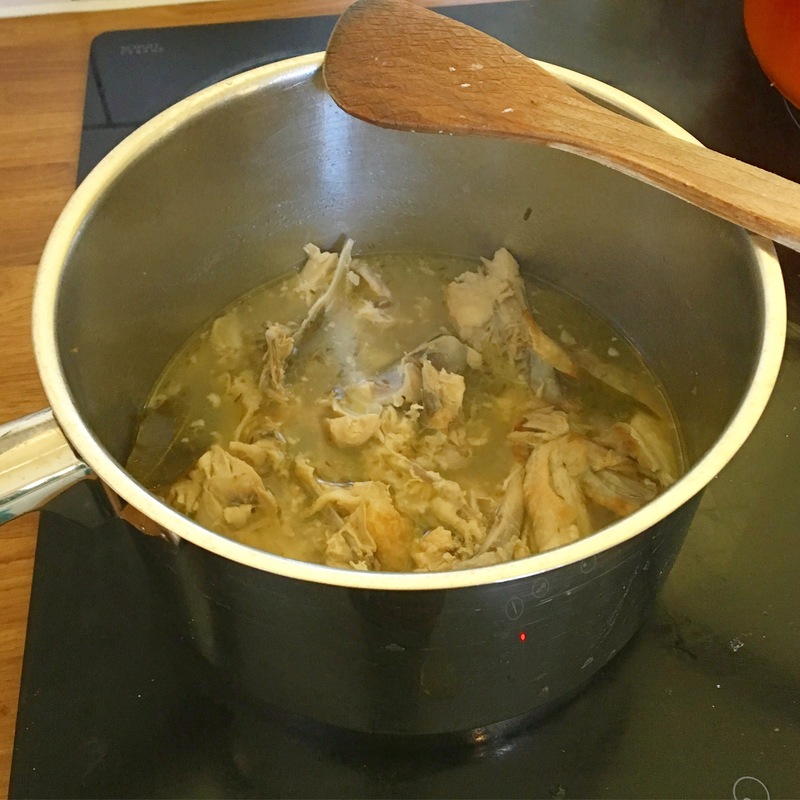 Boil the chicken bones and simmer, with whatever seasonings you have to hand in your cupboard from these options: dried or fresh sage, parsley, bay leaves, rosemary; peppercorns; brown onions; bouquet garni; whole carrots; brown onions. Simmer for as long as possible. Reduce the stock down until it’s barely covering the bones near the end of cooking time. Meanwhile, take your saved chicken juices from the spatchcocked chicken and remove the fat and save. When you’re ready to remove the bones, drain the stock away and add the chicken juices. You’ll want around 250-300ml worth. Turn on the oven to 180c (fan oven). Take the saved chicken fat (it should be around 1-1.5tbsp worth), add to a pan, and fry the lardons and the onion until the onion is soft. Stir in the flour. Add in your chicken stock and milk gradually, stirring as you go, allowing the sauce to thicken. Add in the chicken, and frozen peas, if using. Cook until simmering, and then add seasoning to taste. 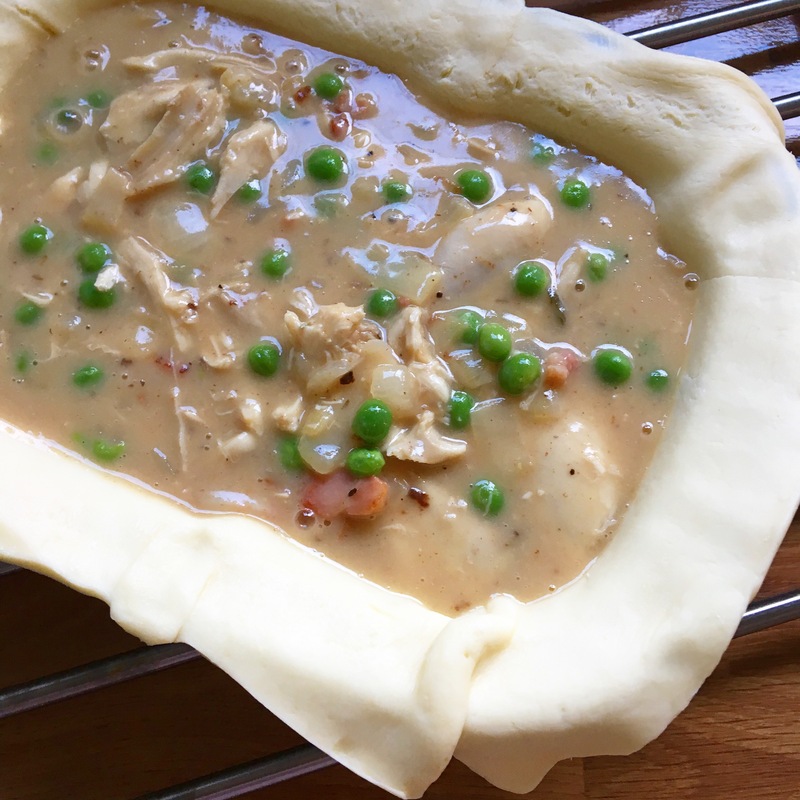 Take your ready made pastry and line a greased baking / pie dish. 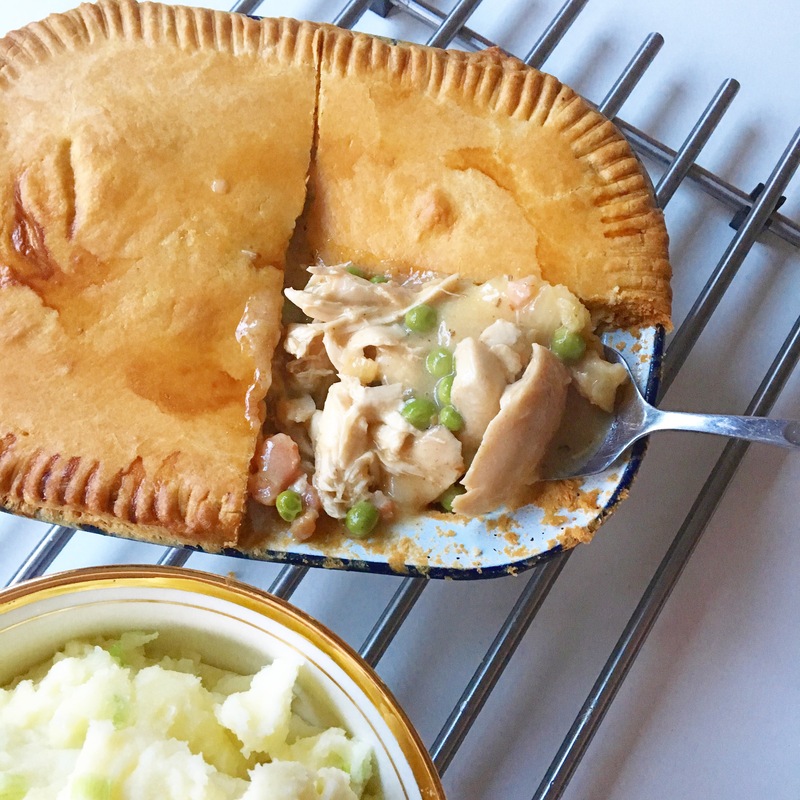 (I used a 23cm long oblong Falcon enamel pie dish for this, and it was almost exactly the right size to accomodate the amount of pastry in the packet – much less waste than using a round dish!). Fill the pie, and then top with the rest of the pastry, brushing it with some of your milk. Poke a hole in the top for the steam to escape! Bake for around 30 minutes, or until browned and bubbling. Boil your potatoes until soft, then put them through a potato ricer, and add in the spring onions, milk and anything else you have to hand you fancy to add to mash – cheese, mustard, butter, etc! 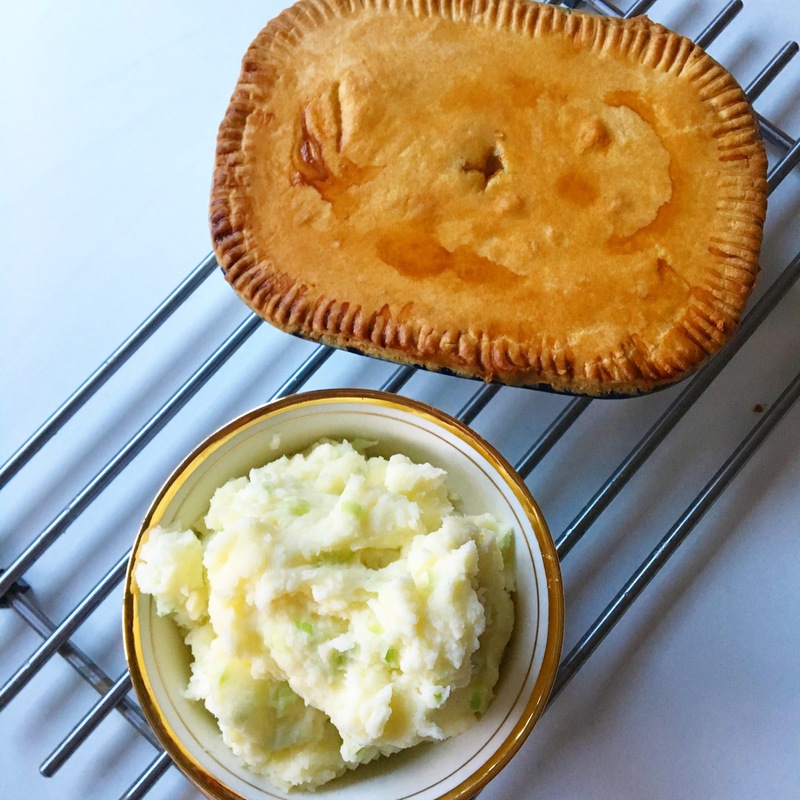 Serve the pie into your pie hole, with plenty of mashed potatoes. 25g flour, erm… like… 5p?